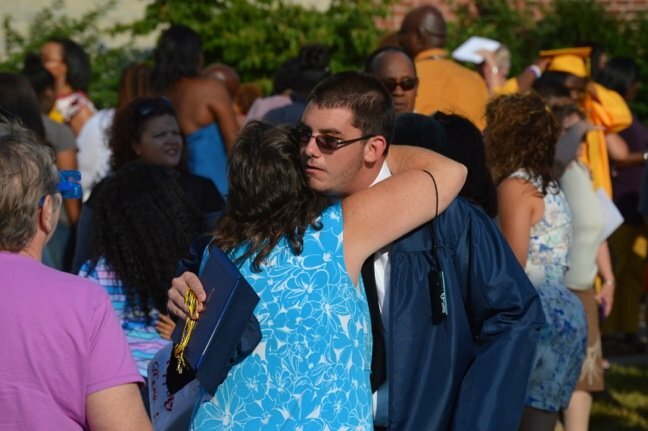 Added by Bill Bowman on June 28, 2014. 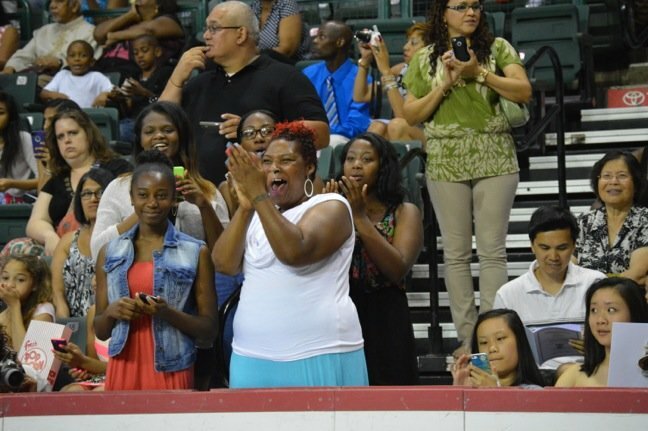 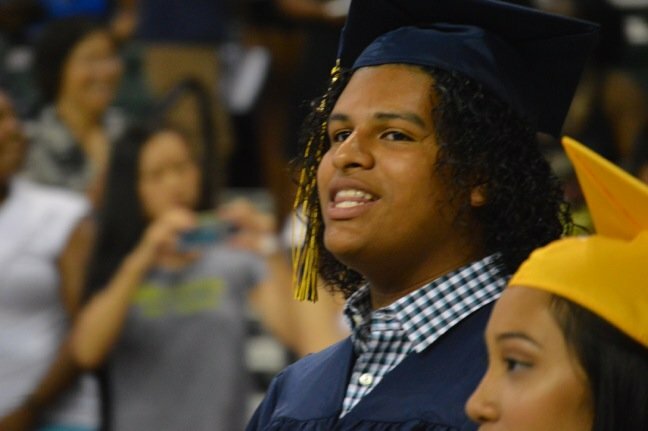 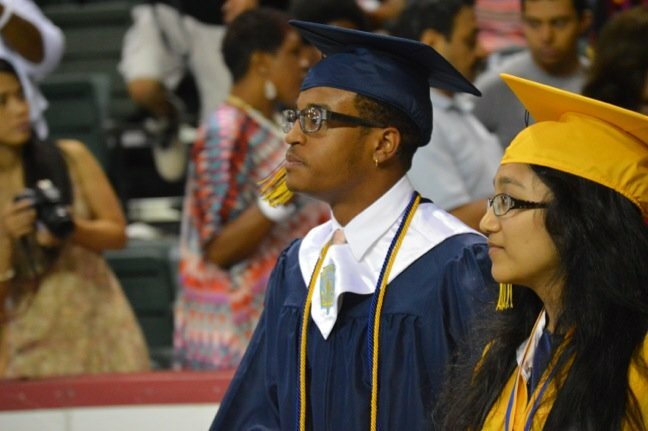 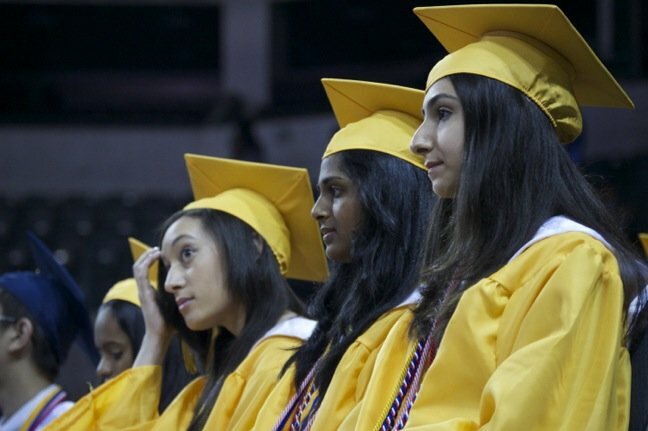 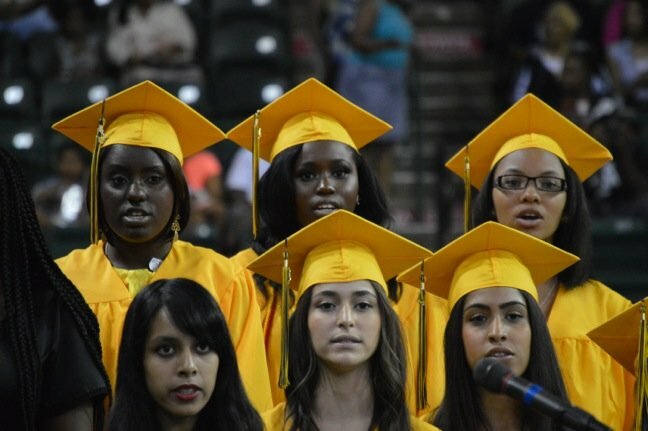 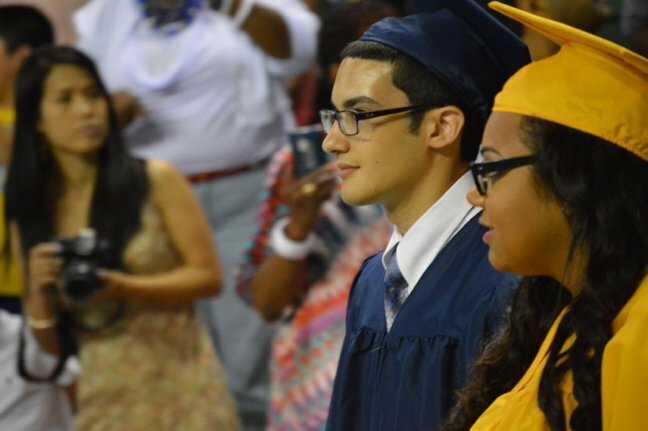 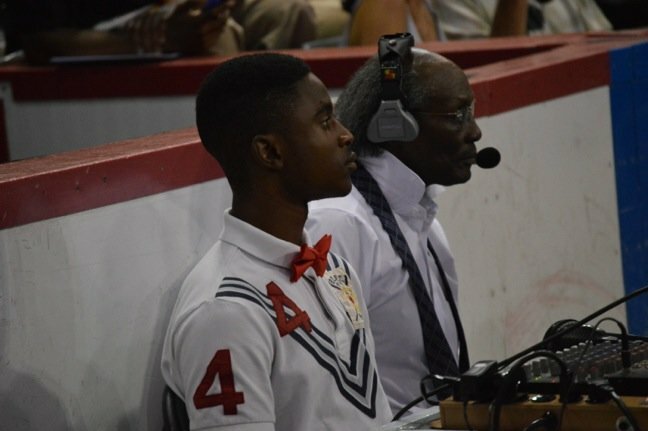 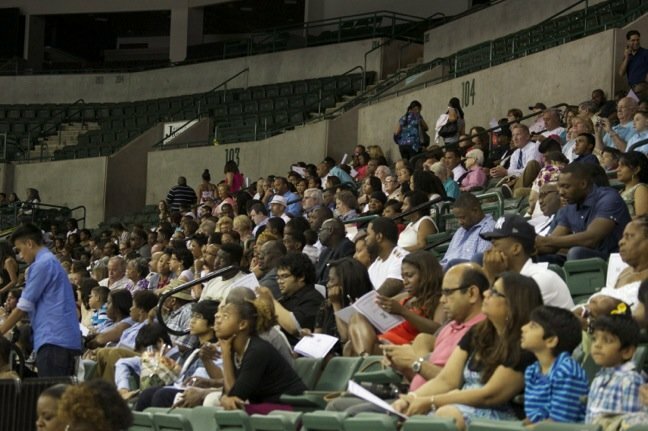 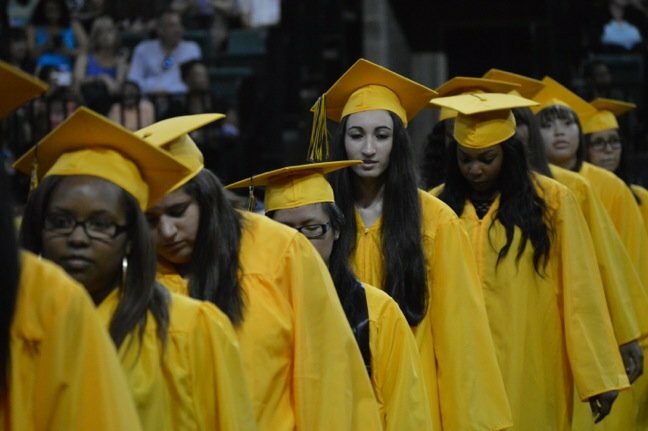 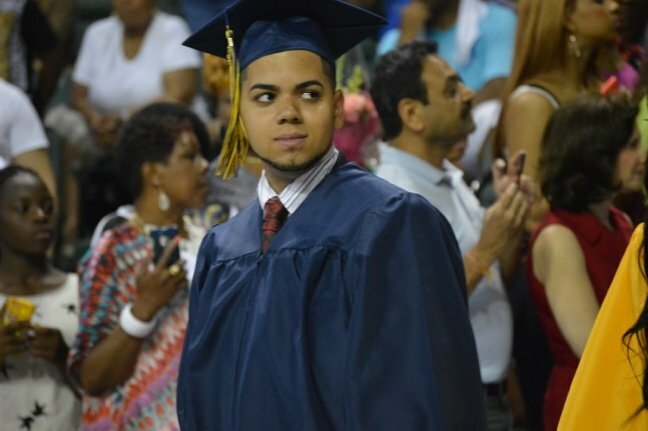 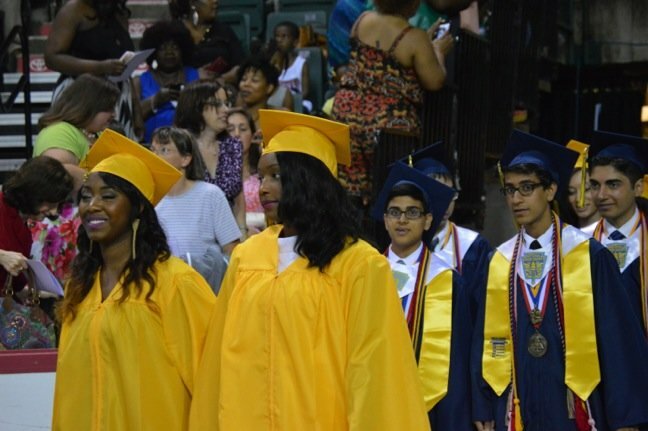 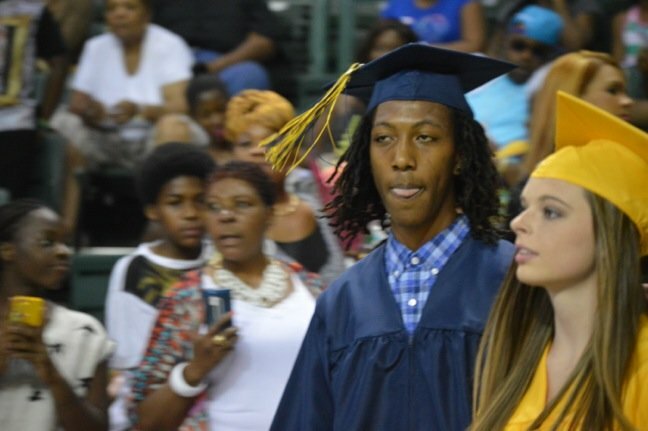 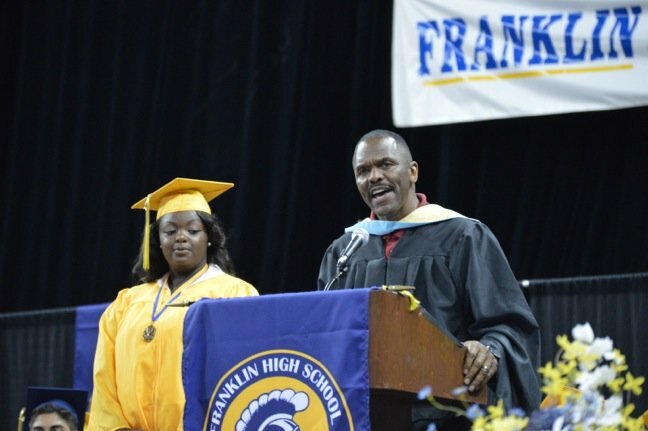 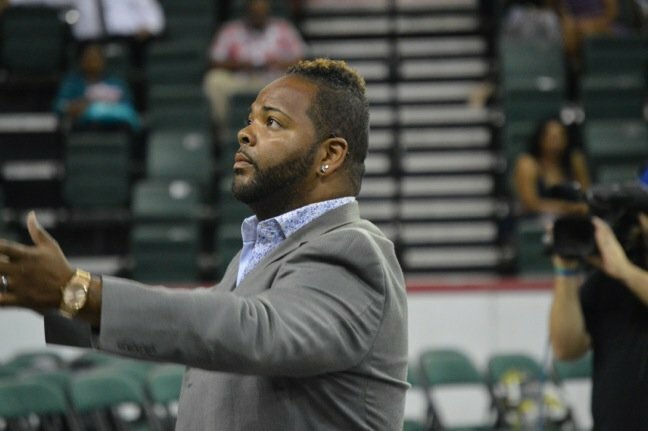 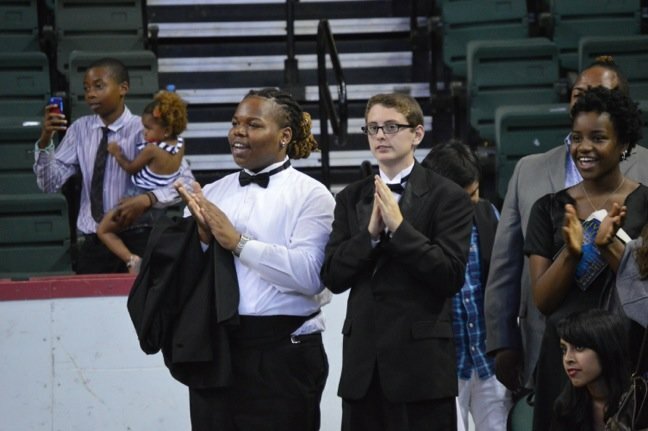 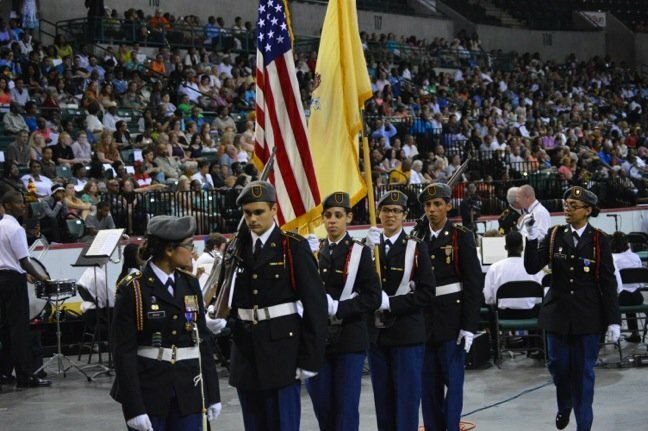 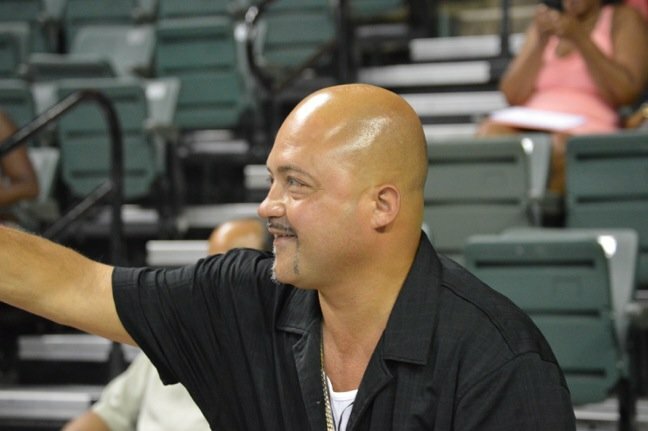 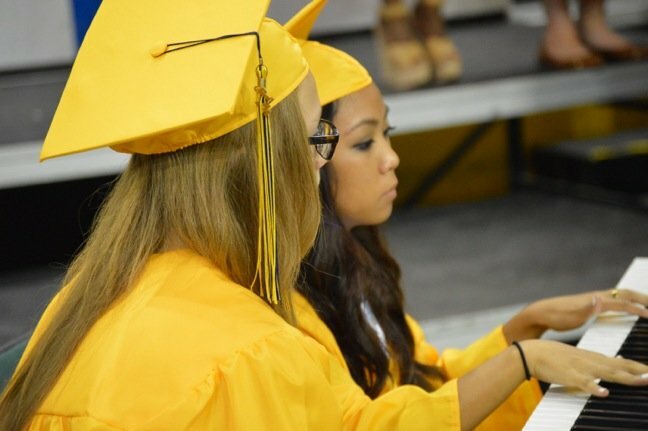 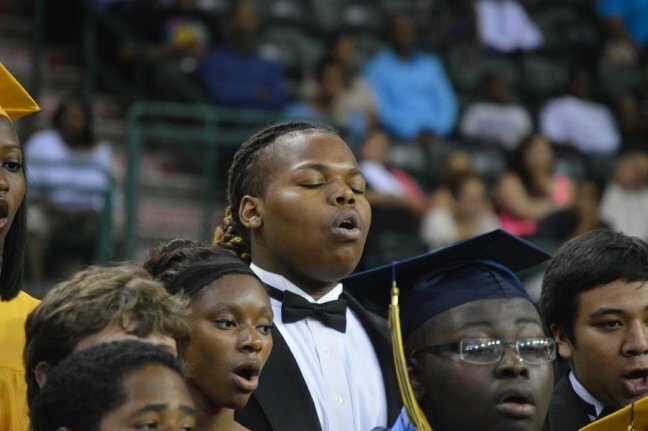 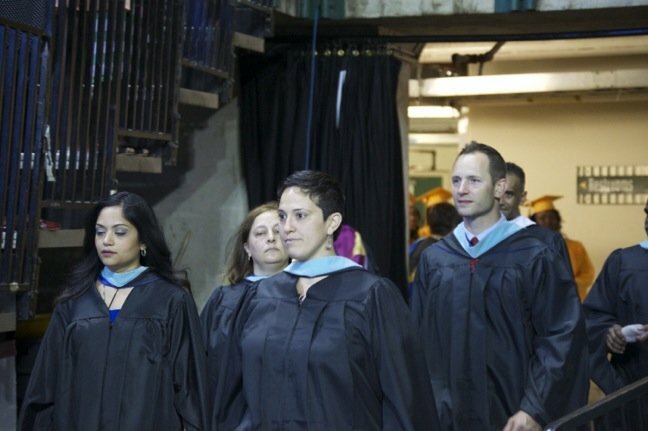 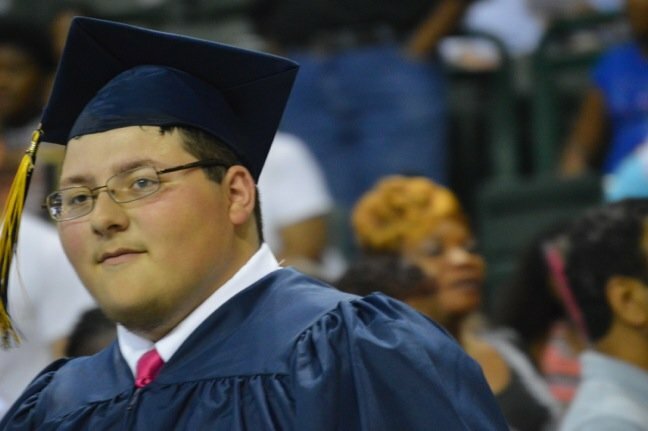 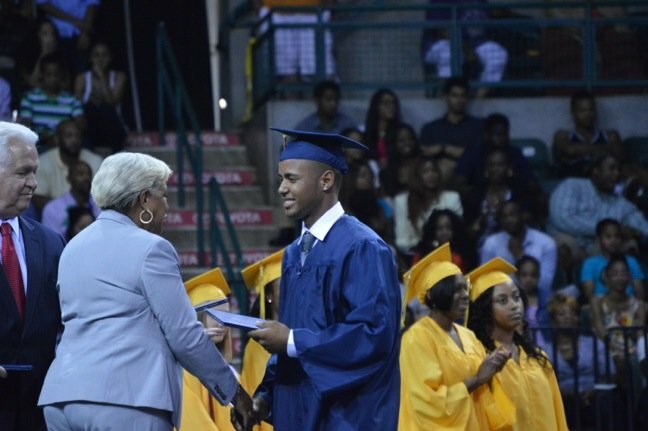 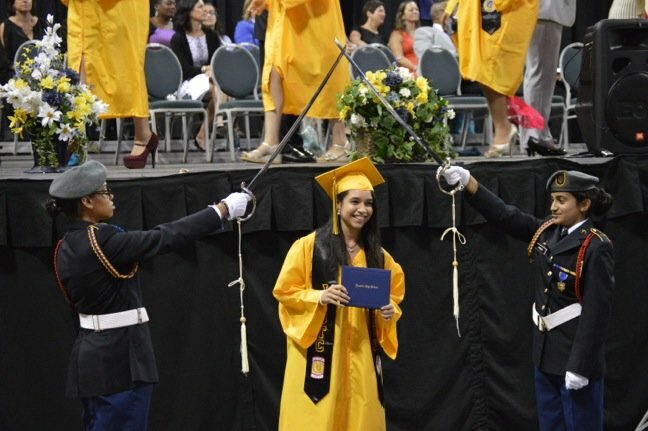 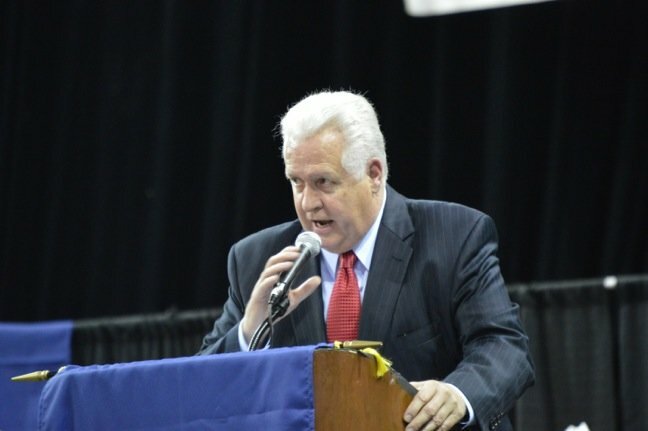 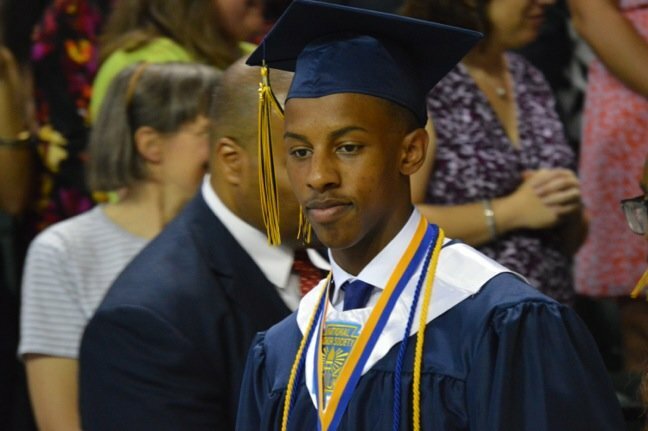 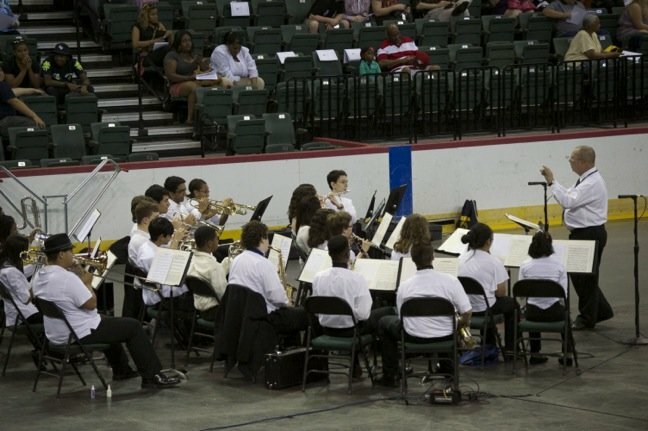 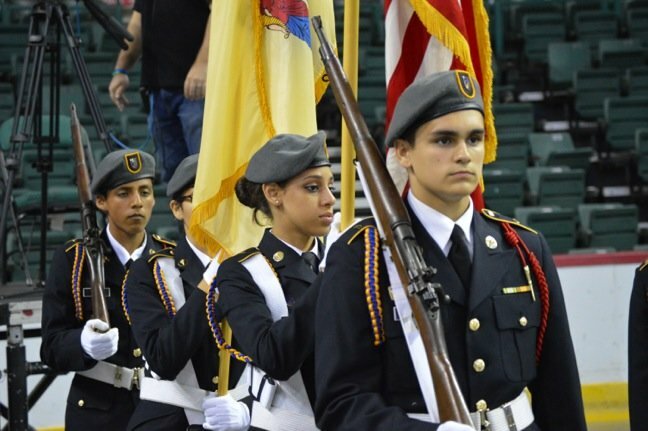 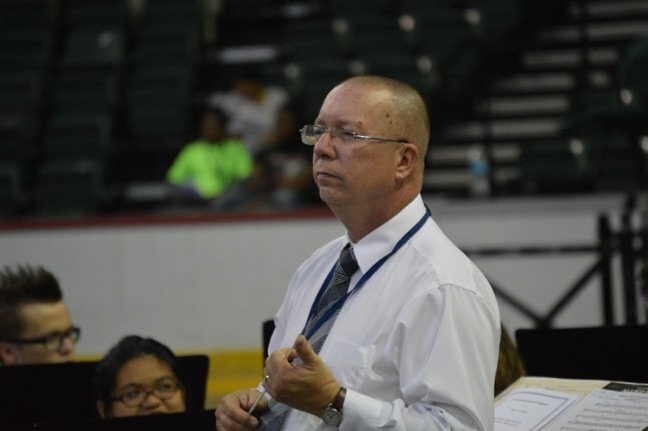 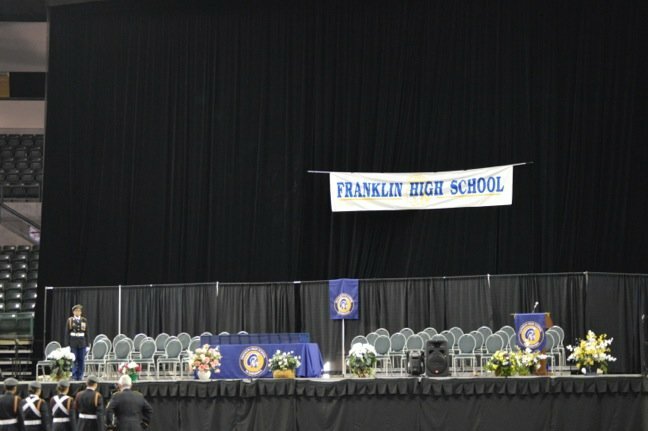 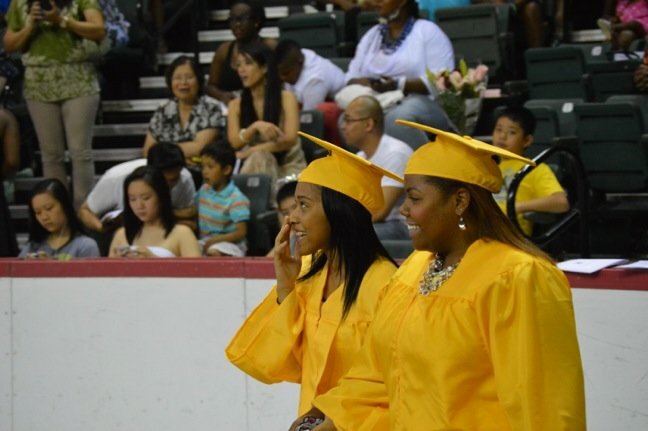 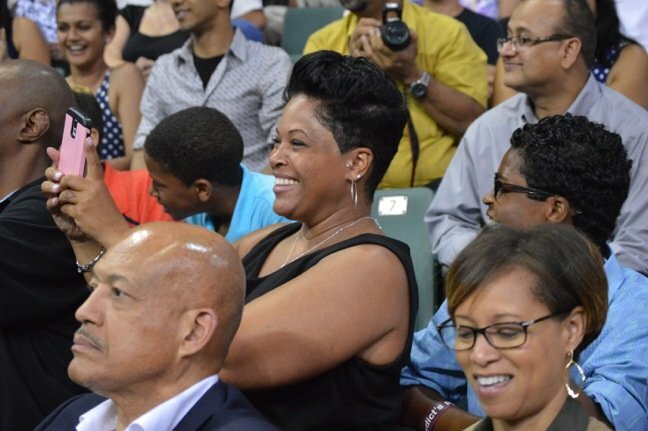 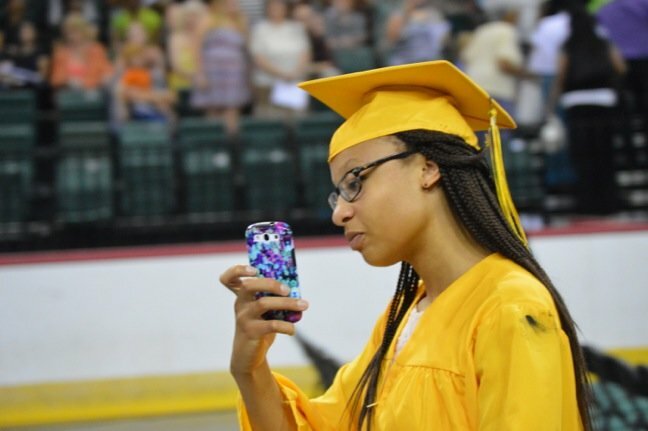 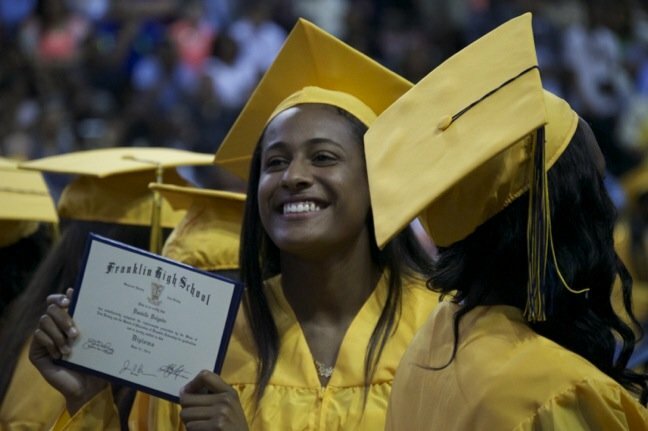 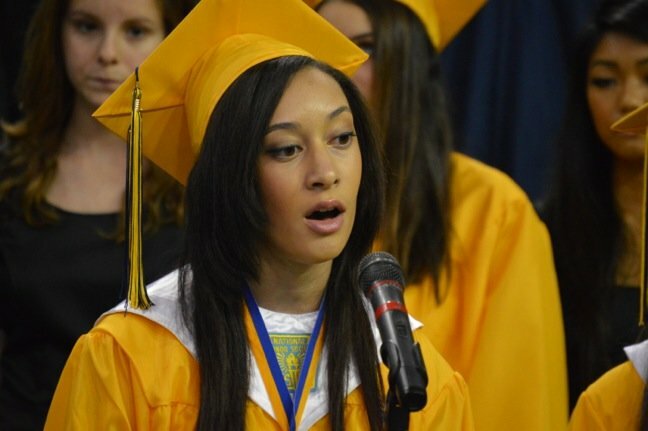 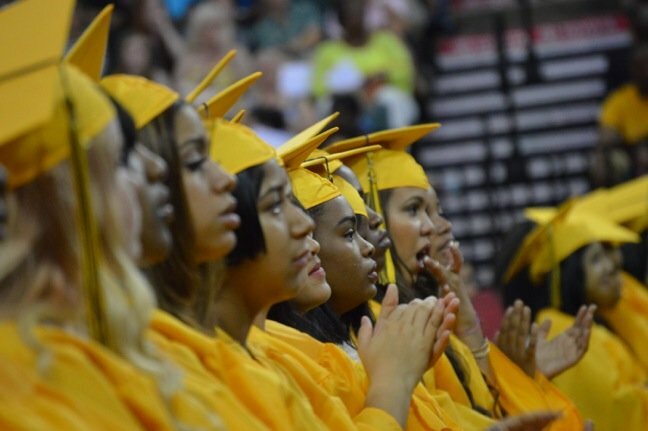 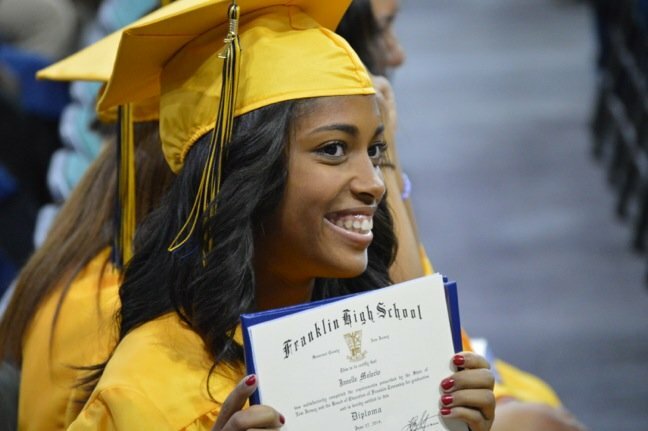 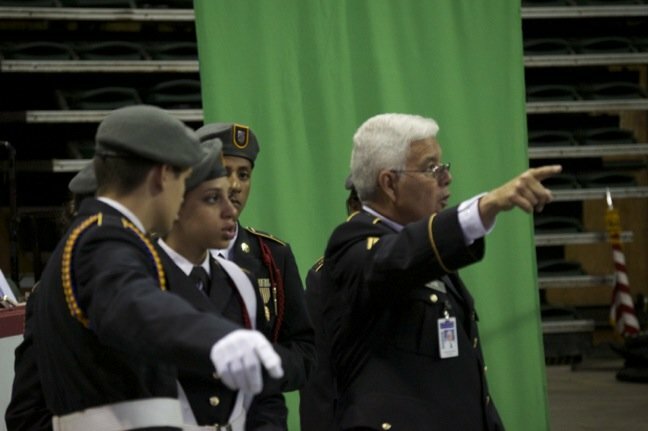 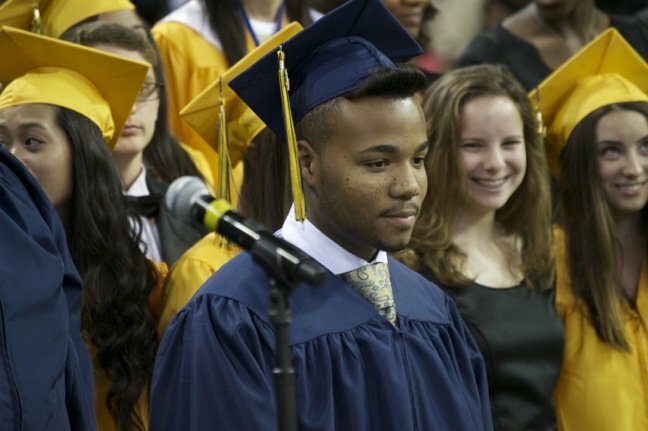 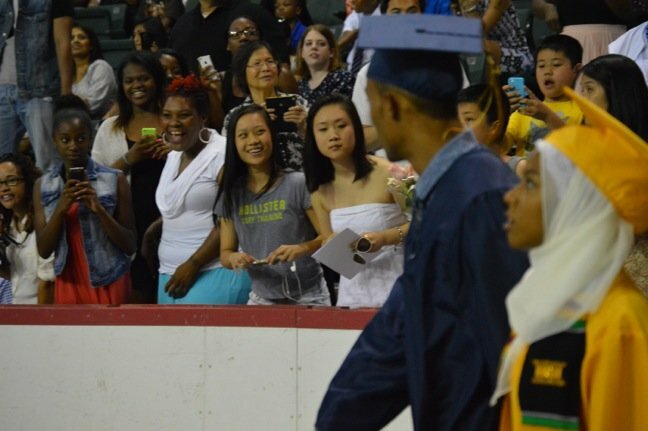 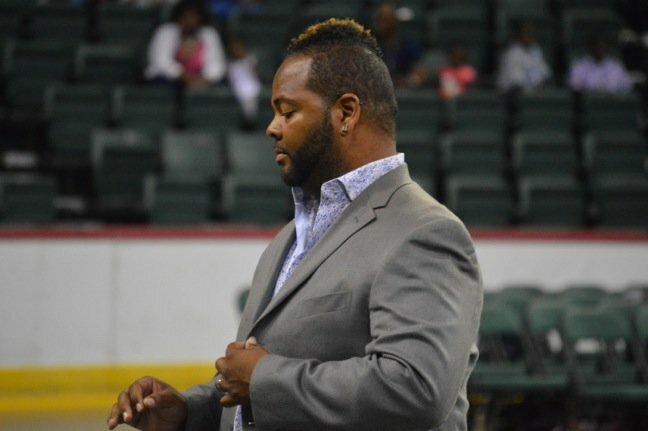 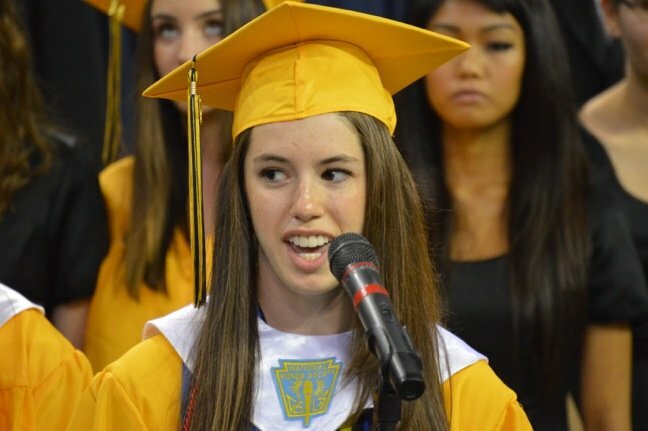 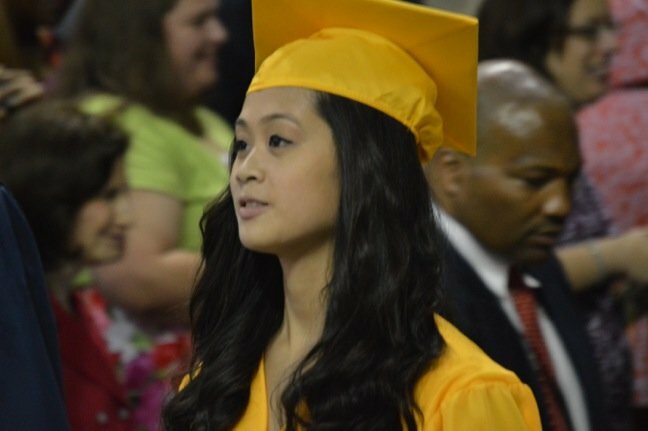 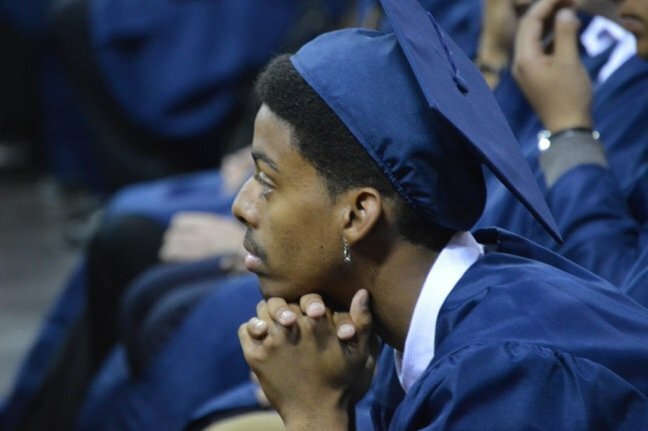 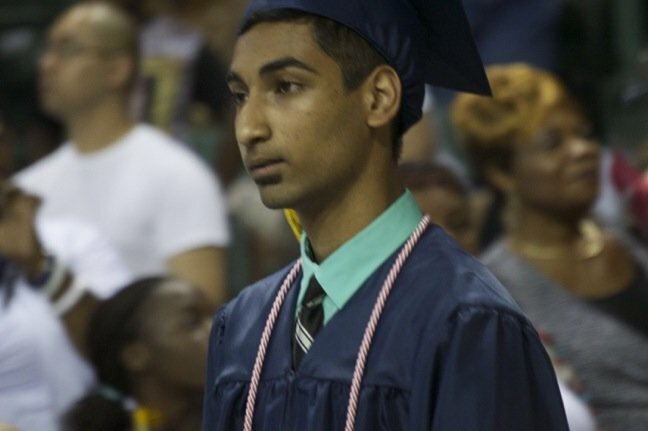 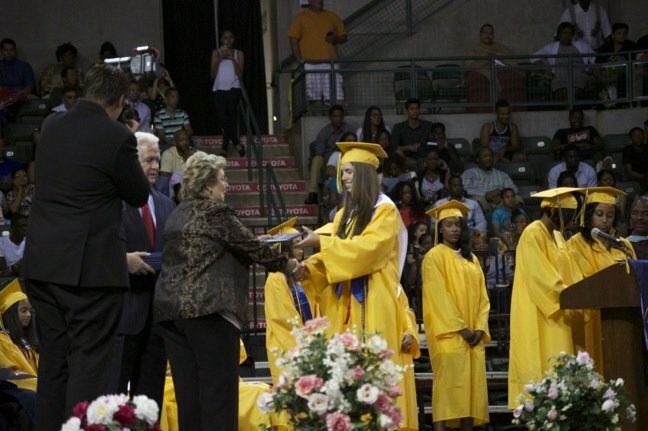 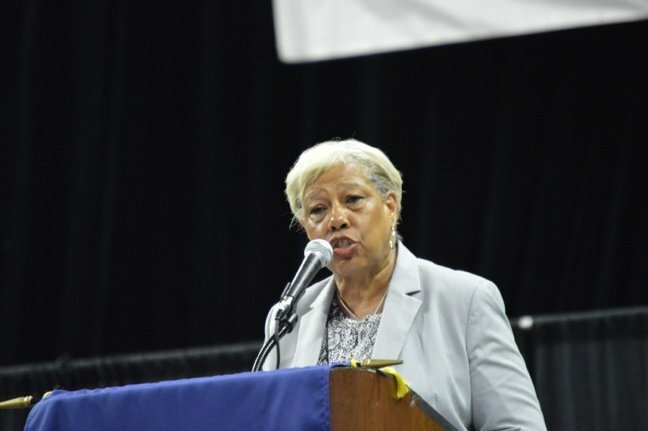 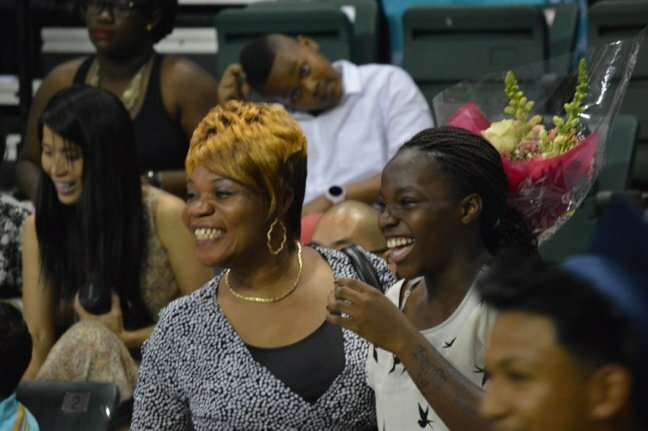 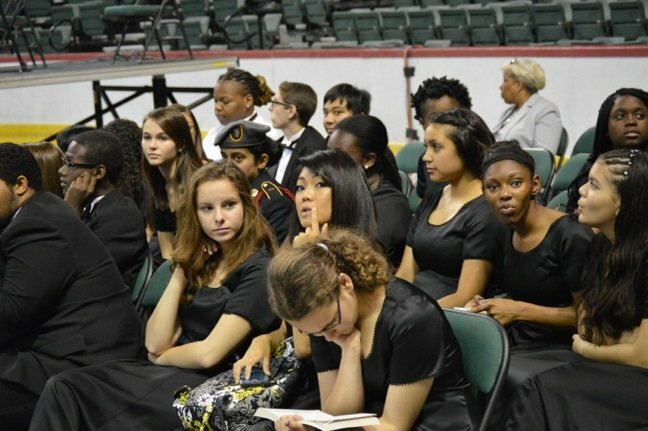 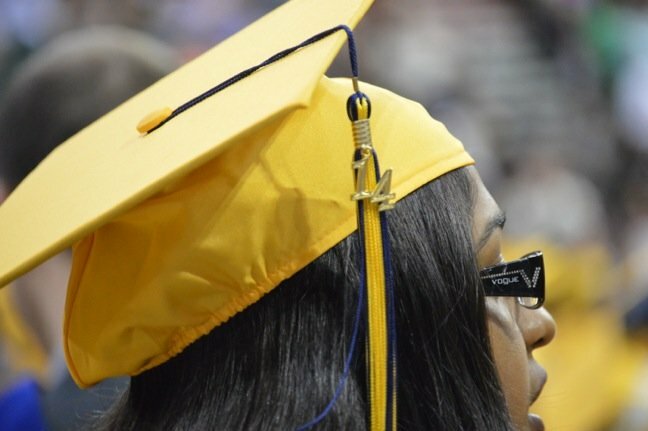 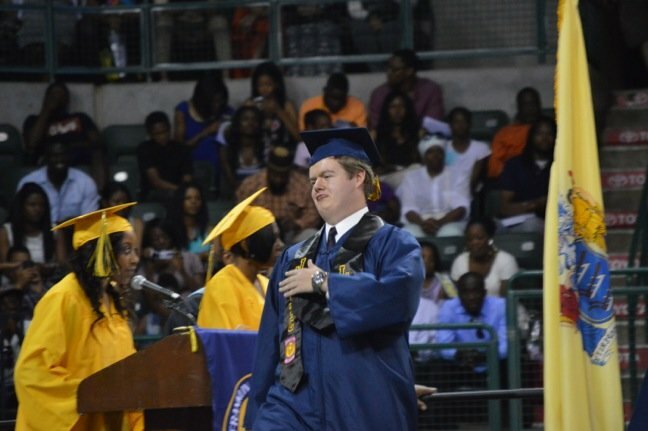 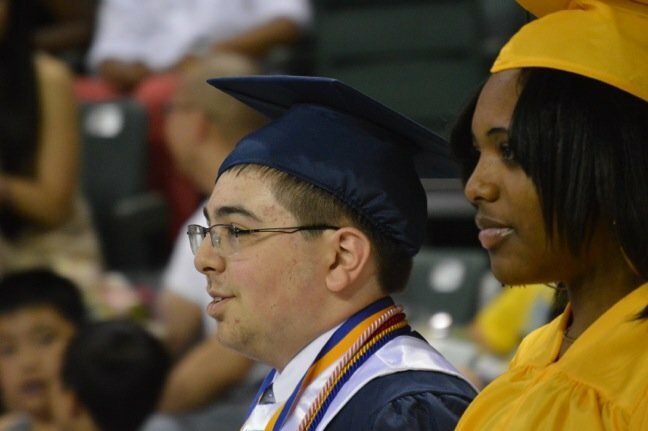 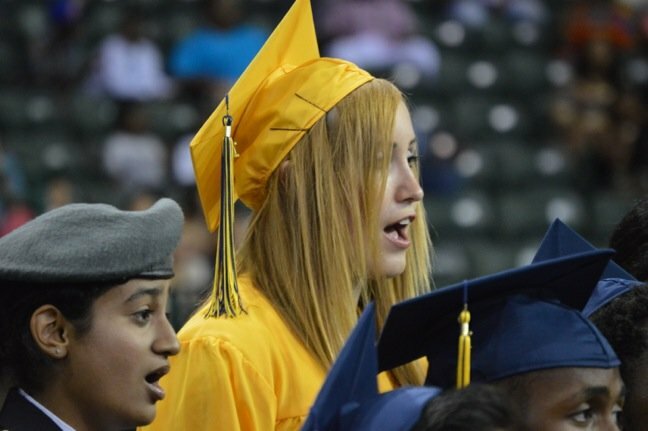 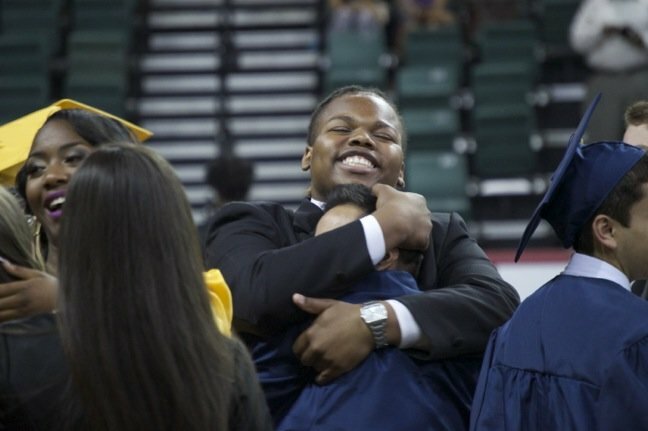 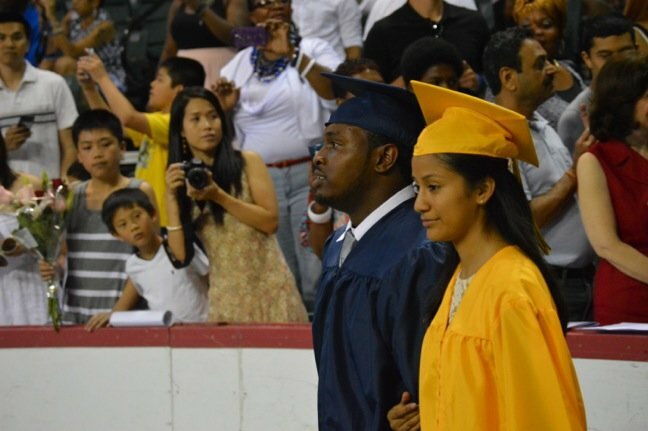 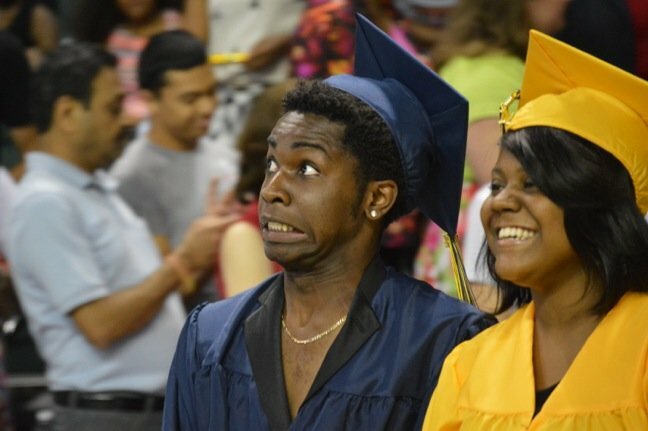 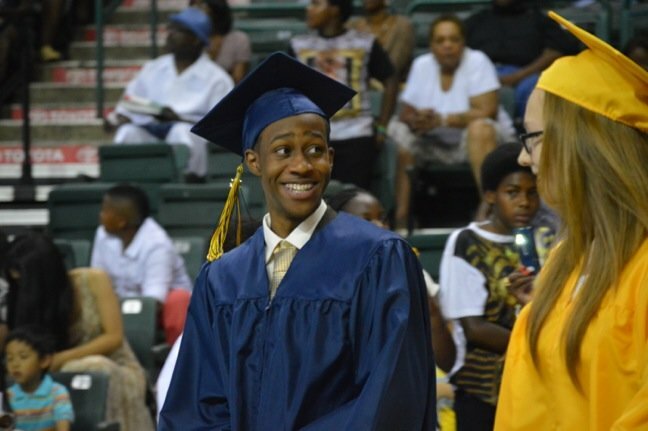 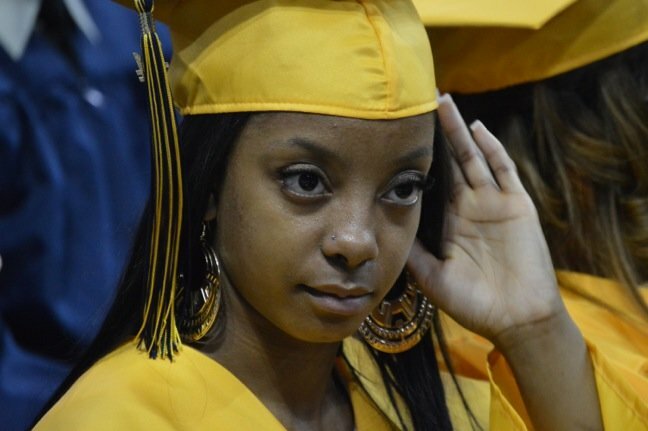 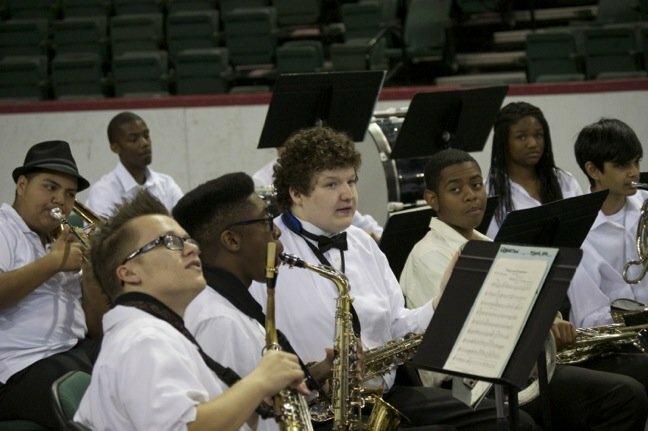 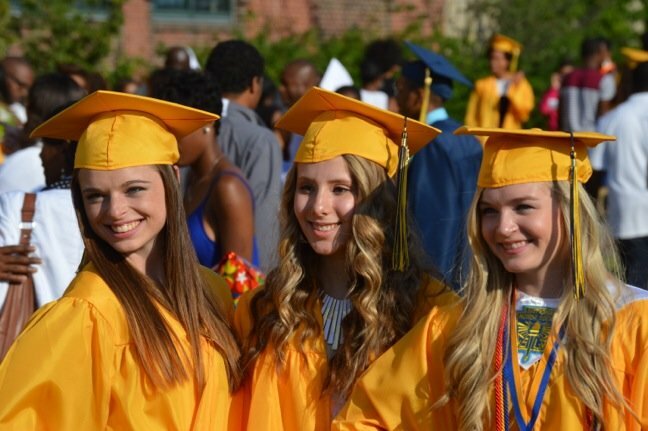 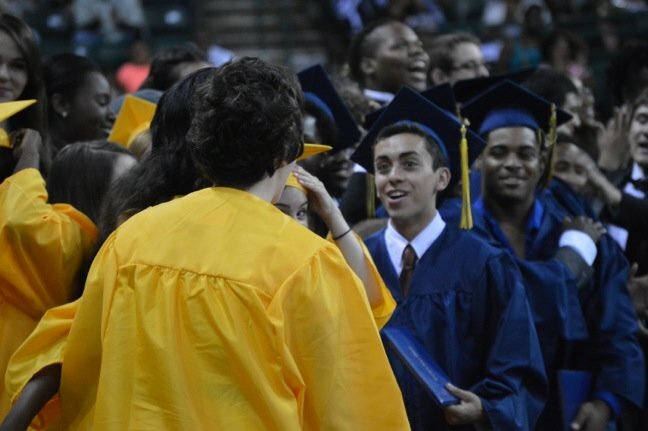 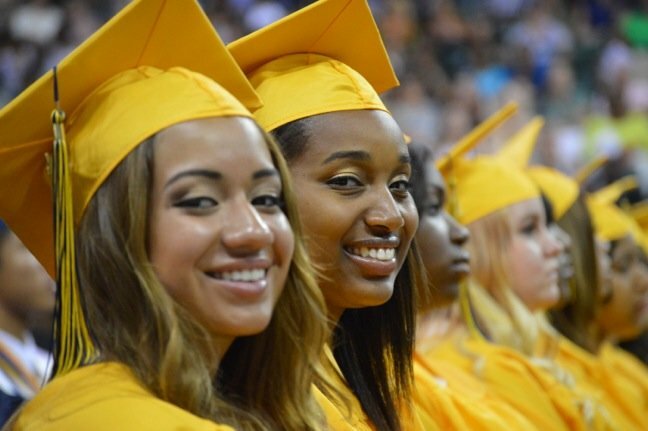 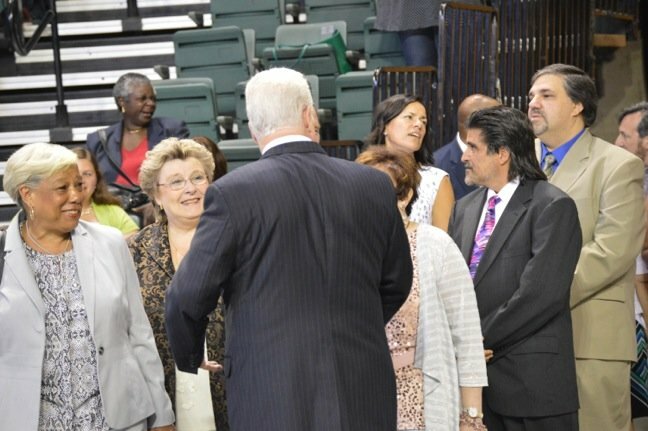 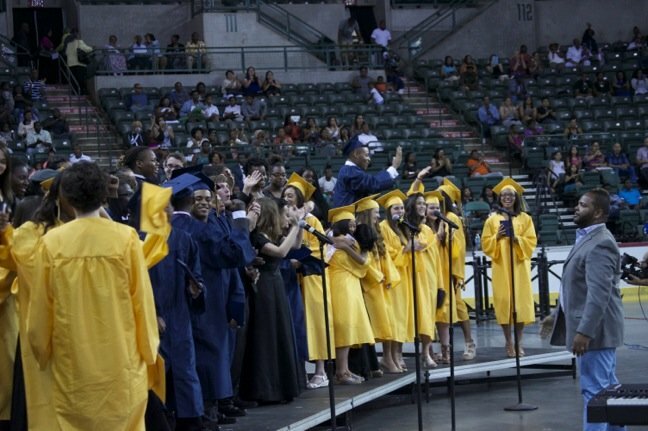 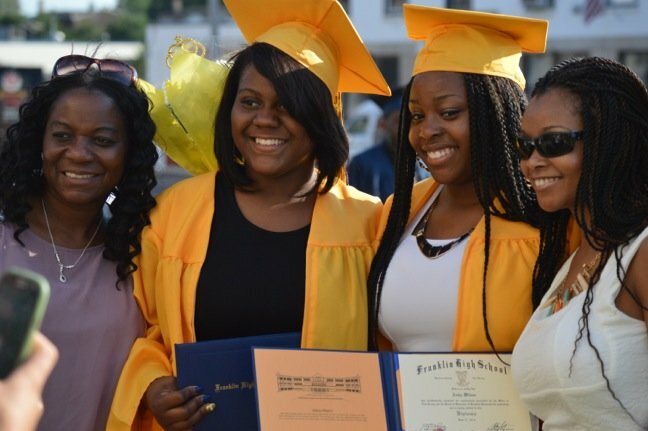 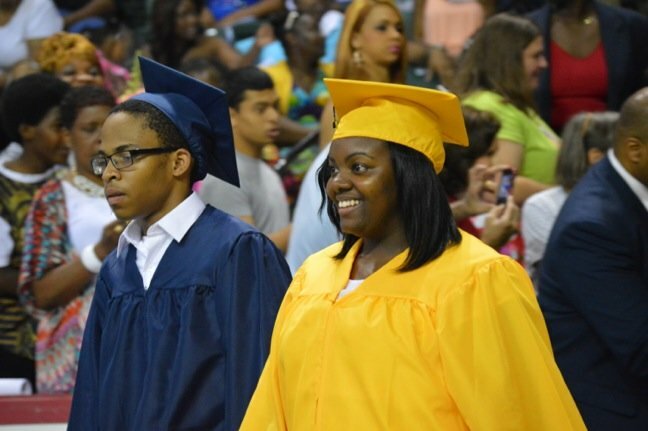 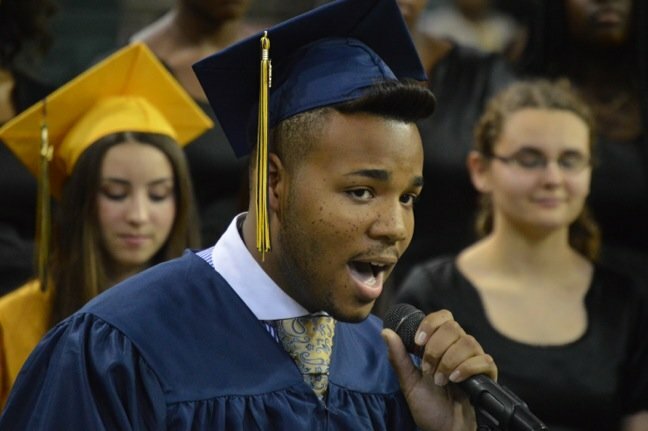 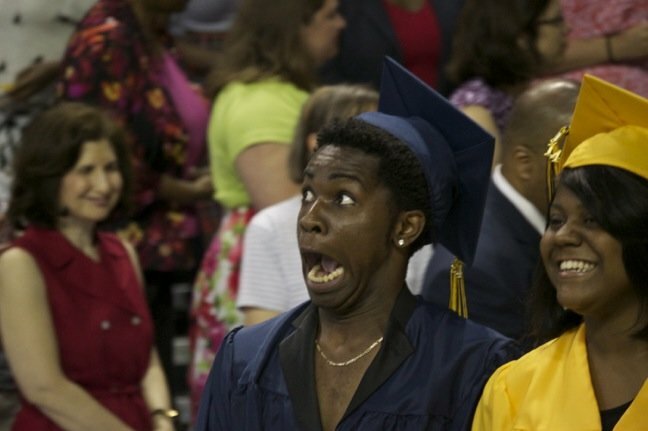 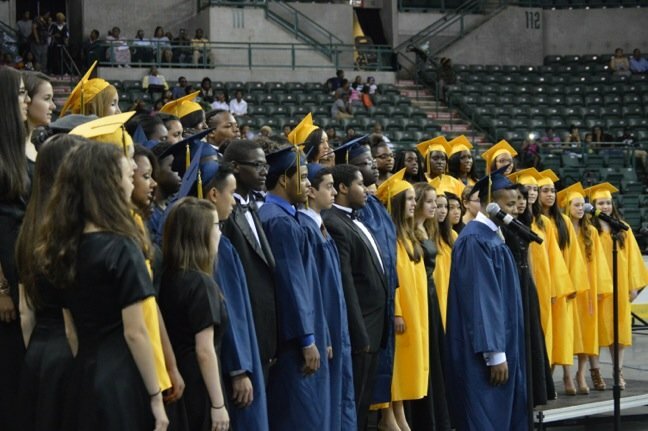 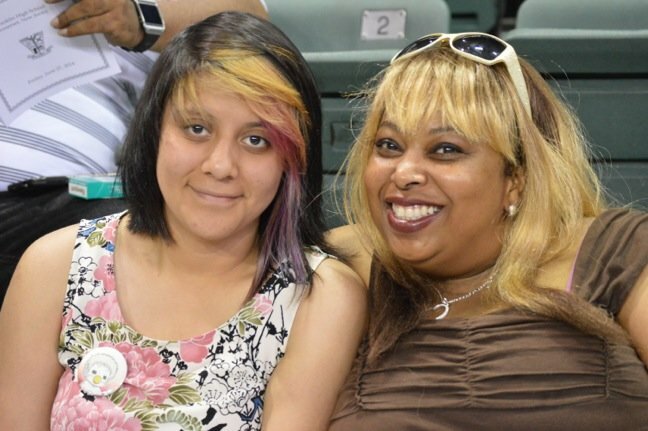 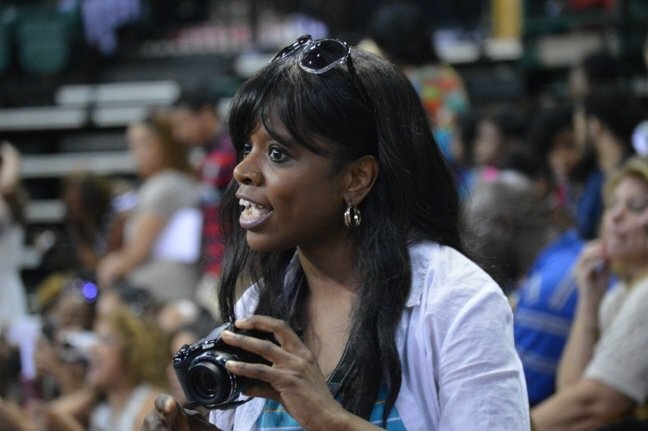 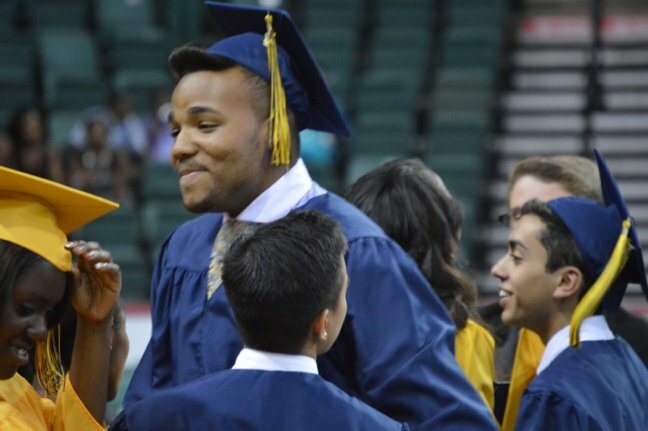 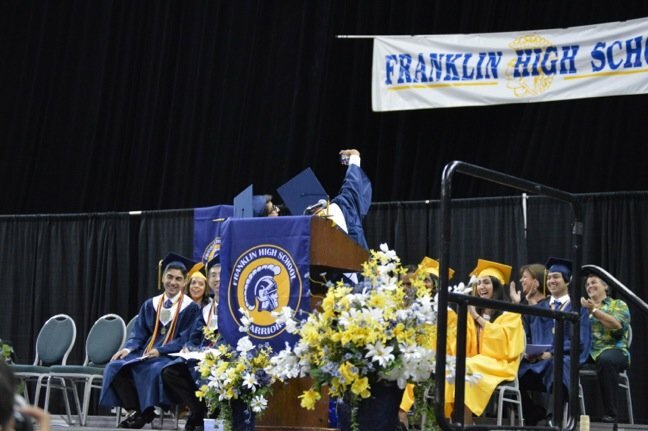 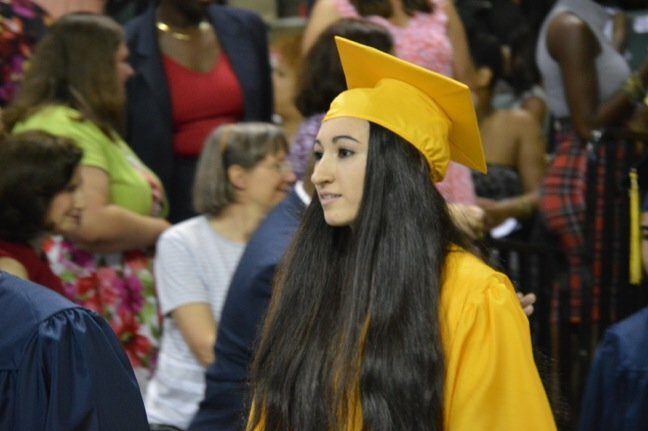 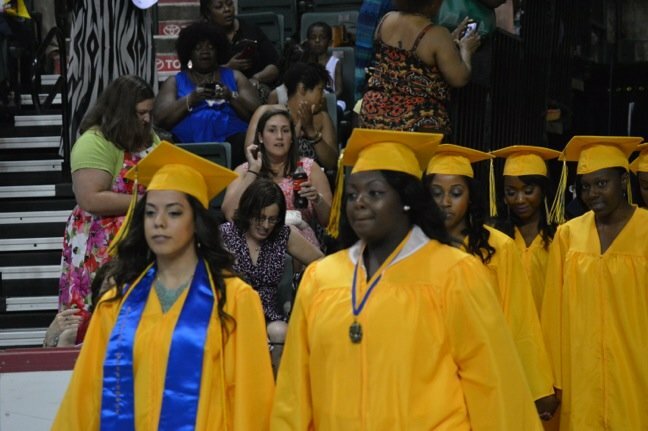 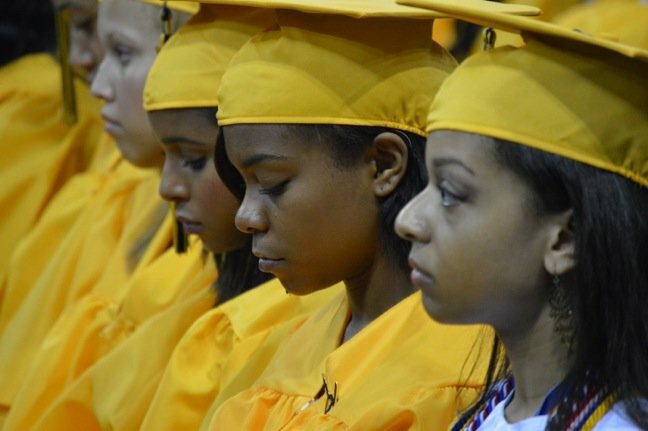 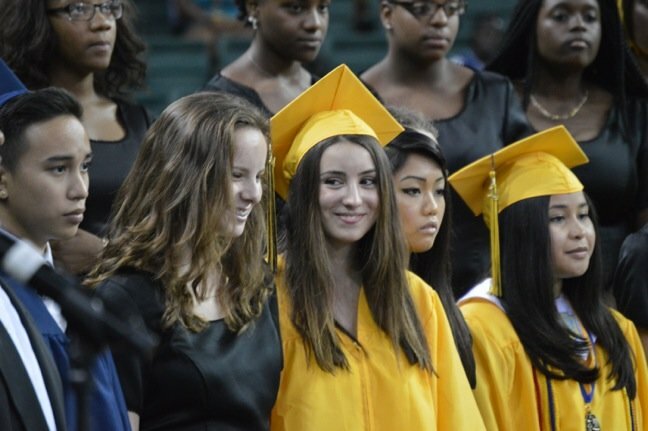 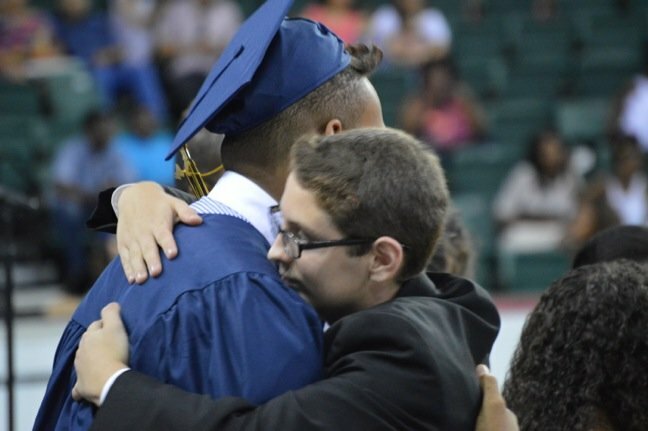 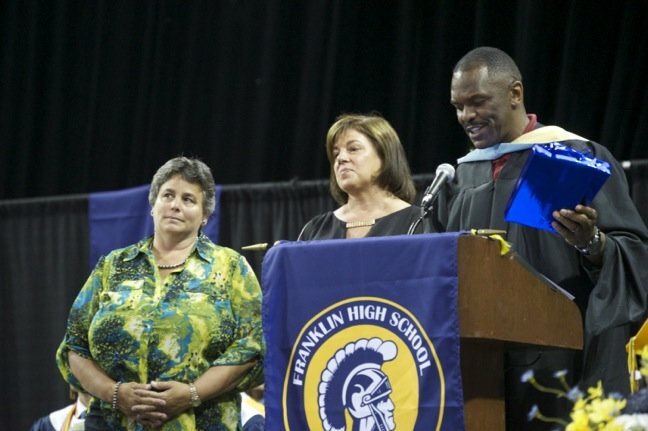 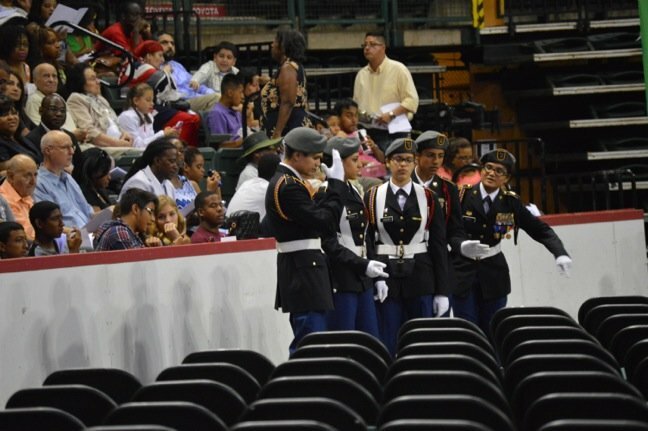 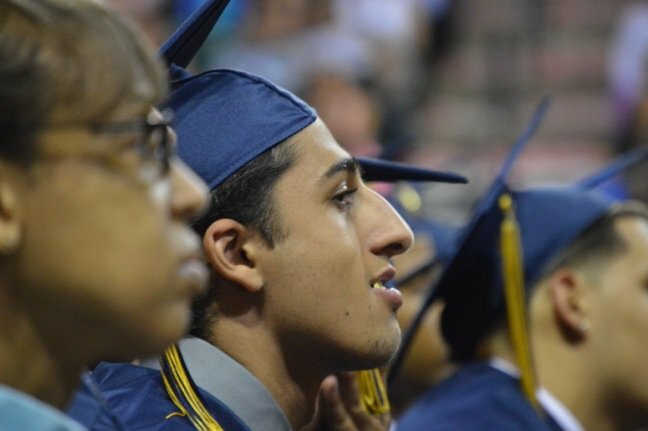 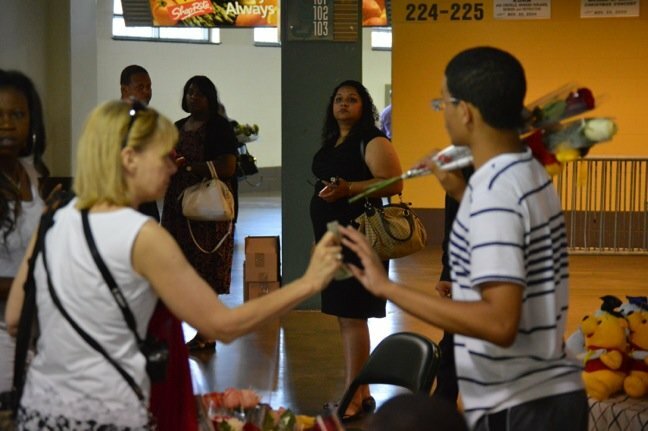 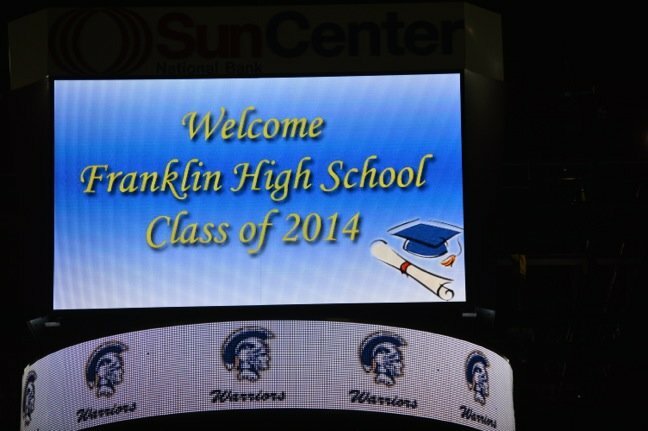 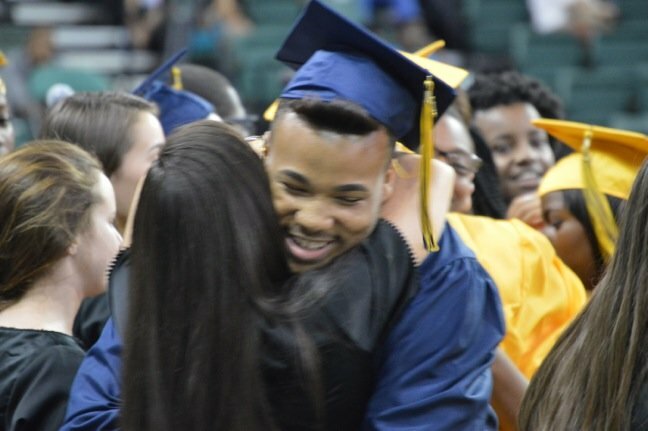 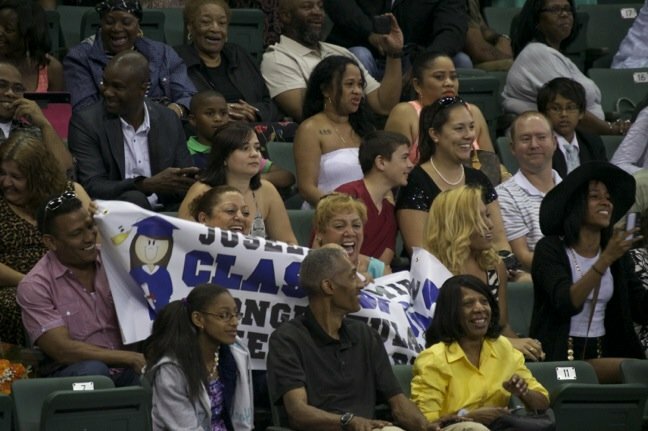 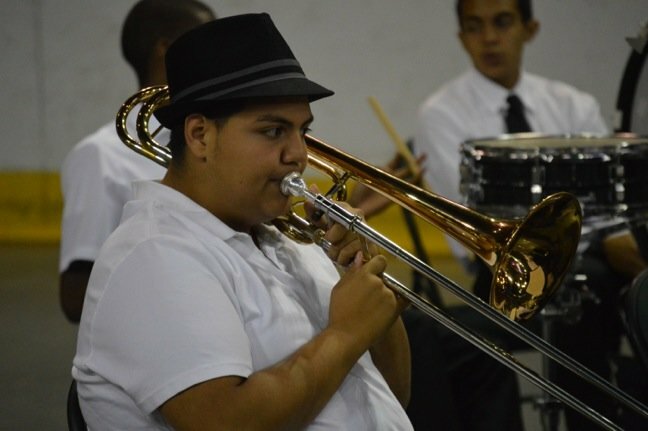 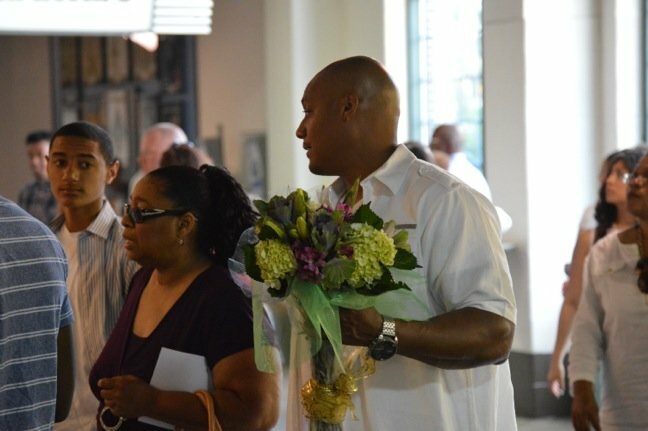 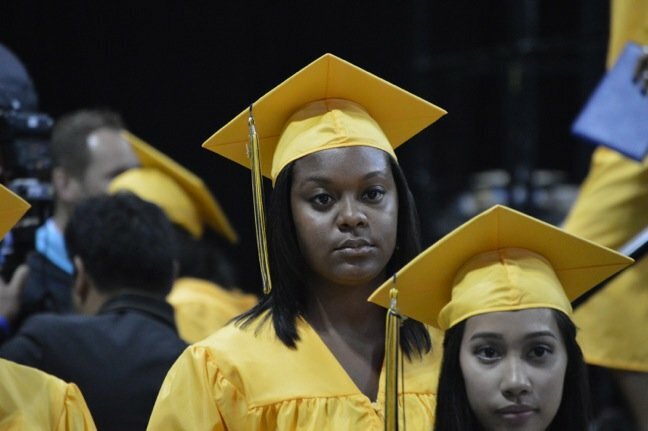 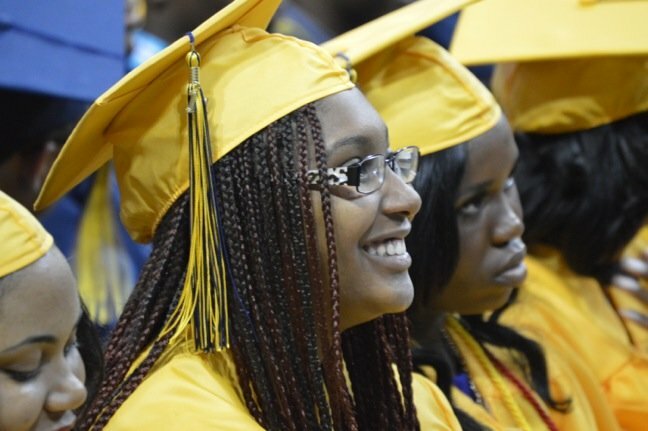 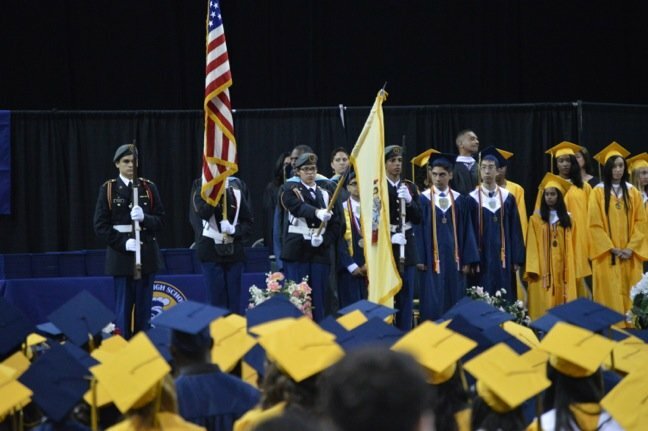 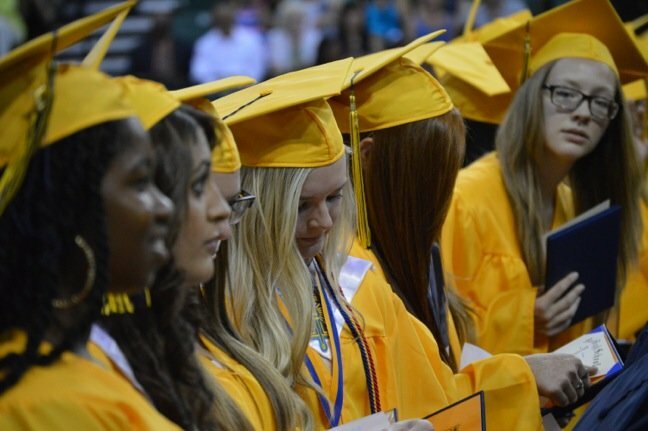 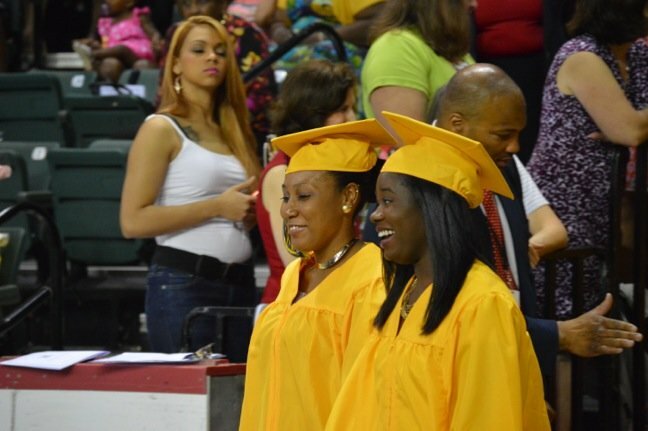 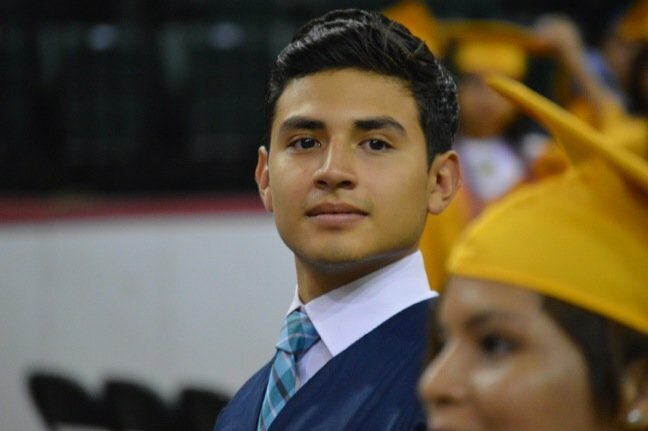 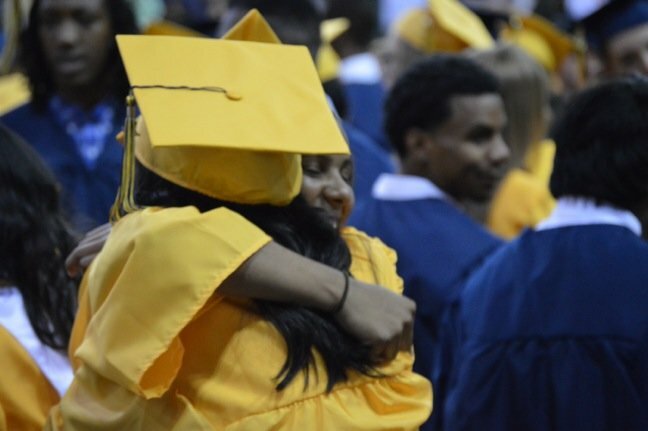 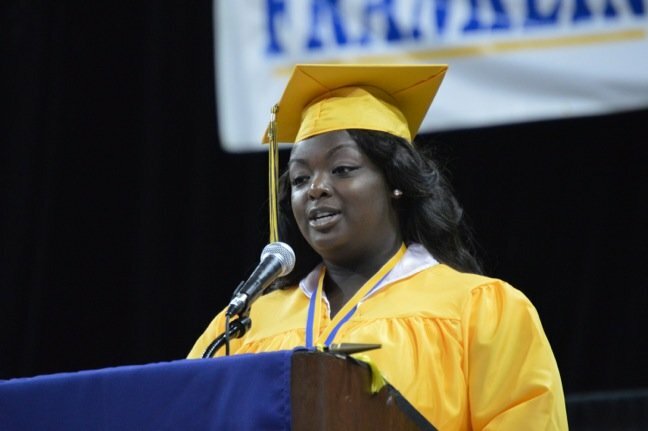 TRENTON – More than 500 Franklin High School seniors were challenged to “keep learning” and “change the world around you” at the 2014 graduation ceremony held June 17 at Sun Bank National Center here. 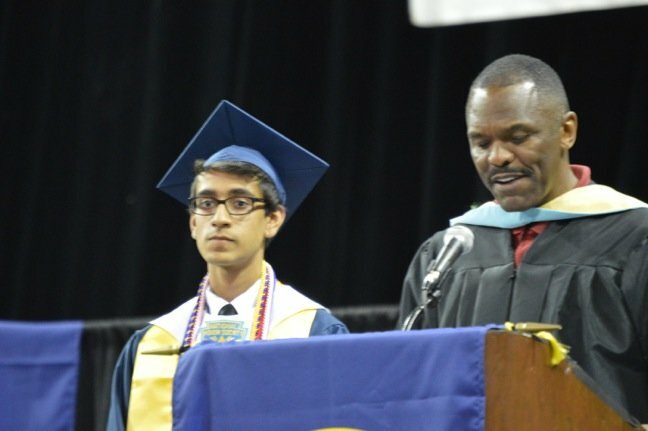 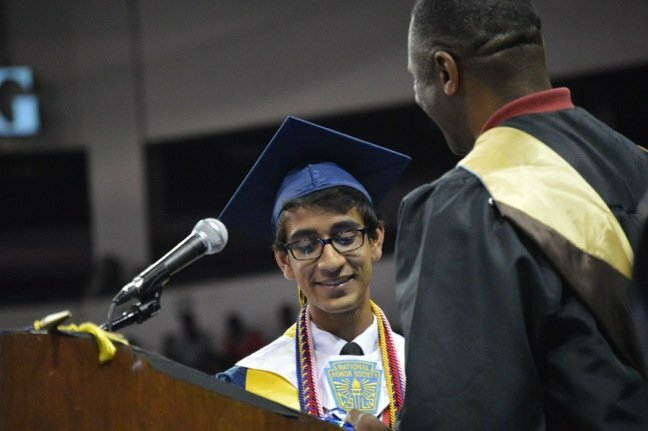 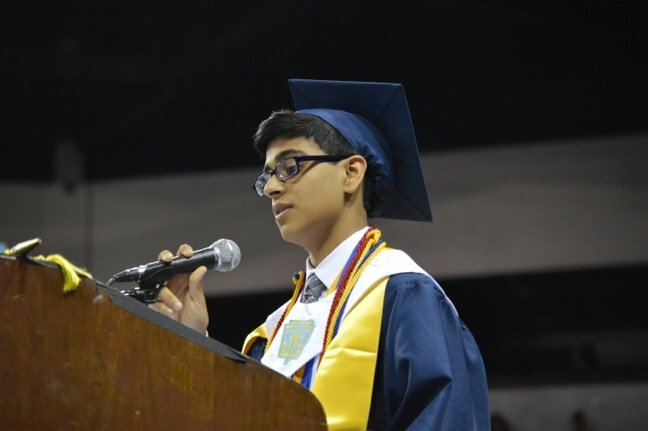 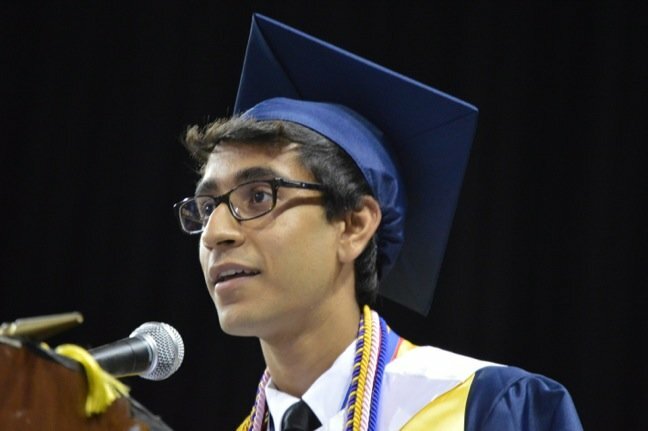 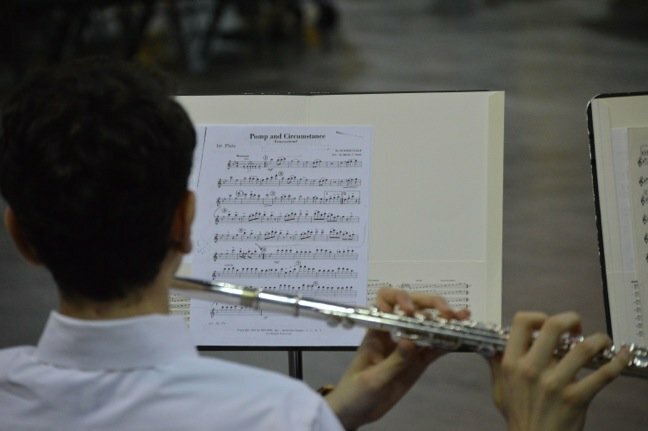 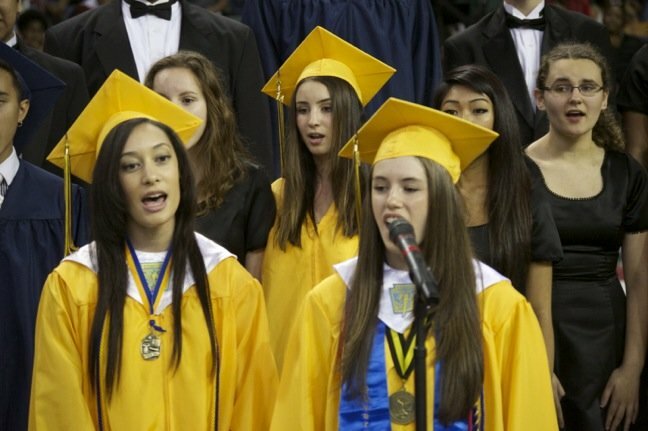 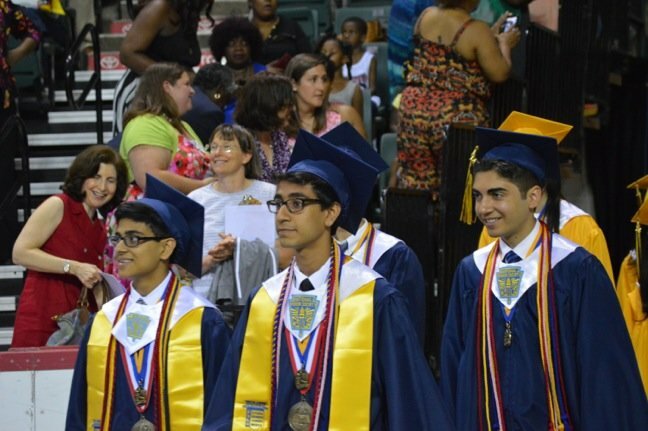 In addition to addresses from class officers, Salutatorian Jay Prekh, Valedictorian Pratik Chheda and school and district administrators, the 2 1/2-hour ceremony featured songs by the high school concert choir. 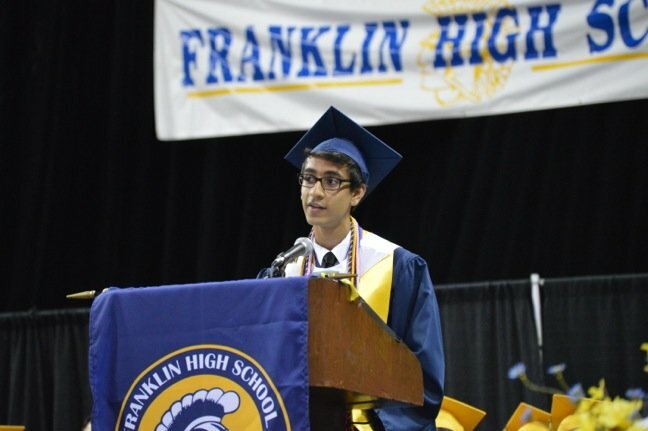 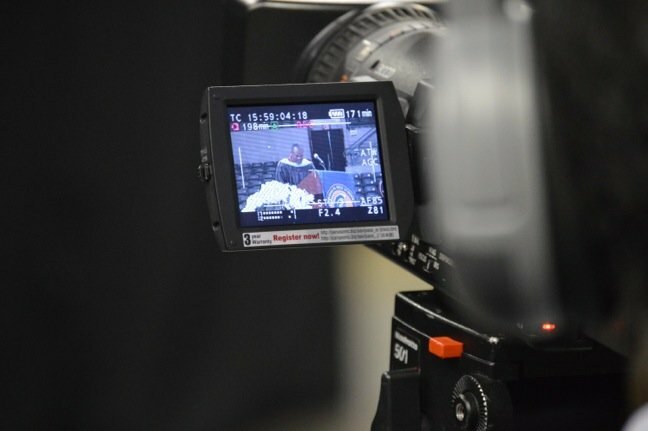 “Take what you’ve learned in the past and move ahead,” Prekh said. 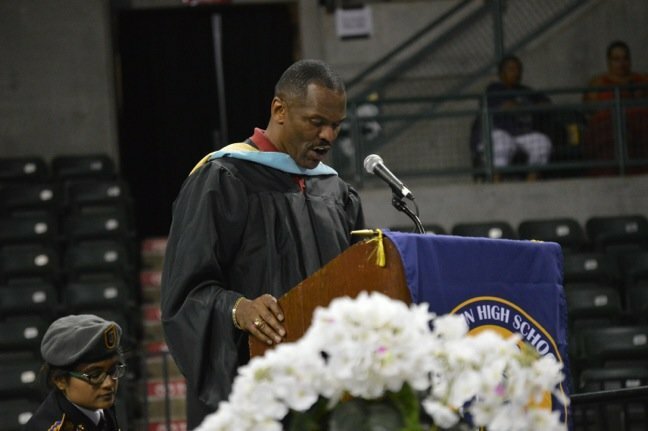 “Ultimately it will be about your self-esteem and your peace of mind,” he said. 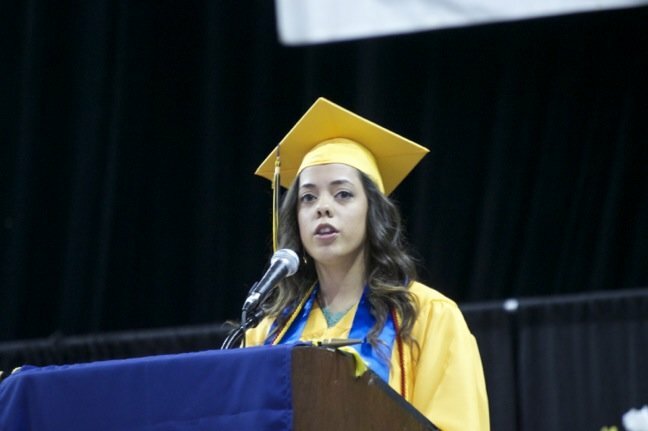 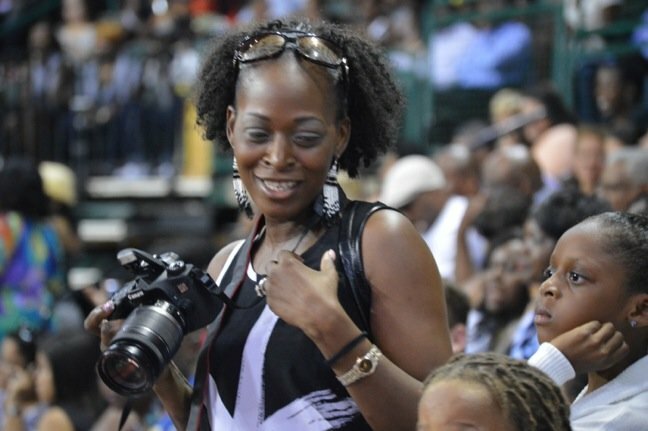 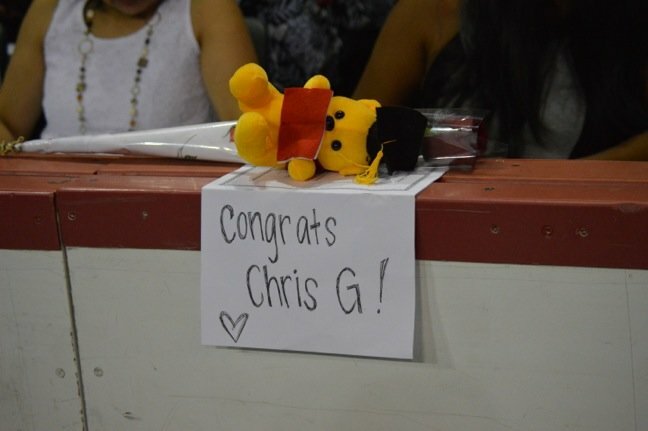 “In your continued pursuit of excellence, make the world around you a better place,” she said. 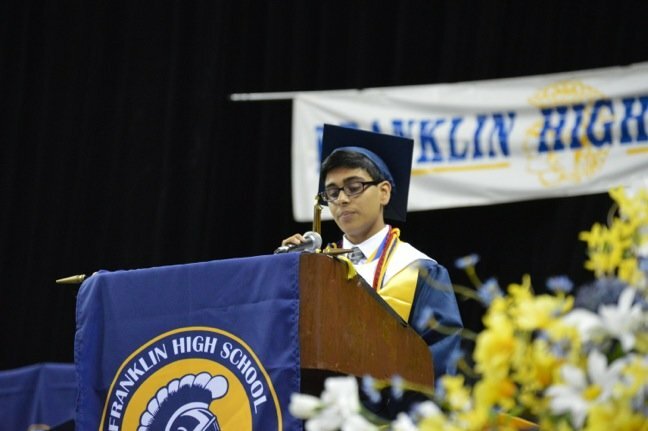 “We need for you to be participants, and make Franklin Township even better than it is,” he said.